I received an email from a reader and it was a wonderful question! I referred it to my biking expert: Michael. This is such a good question because I think a lot of readers are wondering the same thing. I’ve never done a study of my reader’s demographics but from emails and comments I’d guess that most people read my blog for inspiration on losing weight. The common misconception is that “I’m too big to exercise”–I had the same misconception, which is one of the reasons why swimming appealed to me. I didn’t think as a 250+ pound person I could run or ride a bike. That is not the case! This weekend was one of the largest organized rides in the area, the Seattle to Portland ride. For most people, this is a 2-day ride that covers approximately 200 miles — a serious trek. As you’ve seen, Lisa and I are often on bikes riding about town and saw a few of the riders that participated in this event. Sure, some of them looked like emaciated pro-cyclists, but many of them looked like average people that would love to be able to lose 50-ish lbs and they were perfectly capable of riding a road bike 200 miles! Don’t let your weight discourage you from getting started, everyone has a first day. I don’t think your decision comes down to your weight or even what type of saddle to buy but it comes down to how long/far will you be riding. To sum it all up as simply as possible, if want to be on the bike for over an hour, you should be considering a road bike. If you don’t think you’ll be doing that, you should be considering a hybrid bike. It’s as simple as that. The reason for the aggressive riding position of a road bike is to help divide your weight between the saddle and the handlebars. Hybrid and mountain bikes tend to have a slightly more upright riding position which results in more weight being carried over the saddle and therefore the potential exists to become fatigued quicker. That being said, there are plenty of hybrid bikes out there that are light like traditional road bikes so don’t think that you’re sacrificing quality if you decide not to get a road bike. Just be sure to get something of quality. If you buy something you don’t like, you will not want to ride it. Take your time, try out a lot of bikes and make an informed decision. You’ll know when you find the right bike for you when you find it. Do not rush this decision. One last thing you can do which may make this easier for you is to consider purchasing a bicycle trainer. These devices will convert your bicycle into a stationary bicycle. These will help you break in the saddle and build up cycling stamina in addition to allowing you to ride when the weather is poor. This is how I keep in shape during the off season. One final thing to point out is that pedaling on a trainer is less comfortable and more fatiguing than pedaling on the road because you’re 100% locked into a stationary position. If you can do it on the trainer, you can definitely do it out on the streets! Let us know how your bike shopping experience goes. 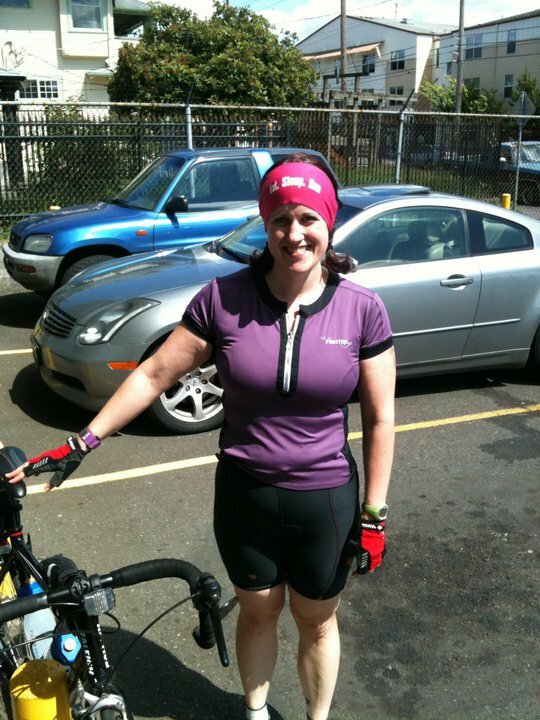 Lisa’s Note: I am happy that I made the decision last year to buy my road bike. I had limited funds and I too was nervous about buying a road bike. 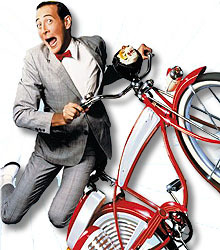 Growing up I always had mountain bikes, and for awhile I used Michael’s old hybrid for our rides. It was such a HUGE difference when I got on a road bike. I am so glad I made the switch. Because I didn’t have a lot of money to spend and I had a deadline (Reach the Beach) I did rush my purchase. While there’s nothing wrong with the entry-level bike I bought it’s definitely heavier than I would have liked. Had I been able to wait and save more money I would have bought something else. If you have cycling questions for Michael, email me at 110pounds at gmail.com and we’ll try and help! Highly informative post, Lisa! I know you ride your bike a LOT and were impressing me to no end awhile back riding to work every day. It’s an incredible way to lose weight… in fact, we have a friend who stopped riding because he was getting too skinny! Thanks to you and Michael. He got too skinny?! Nuts! Yes, I am really liking biking. Almost more than running–less injury so far. Thanks Michael and Lisa. Yes, this is of interest to a great many of us. I bought a sturdy Trek hybrid because I wanted to be confident it would support me (or, put another way, that I wouldn’t crush it). My next bike will be a road bike. Hey Alan- great! Glad you found a bike that works well for you. Trek is a good brand too. Hi Lisa! 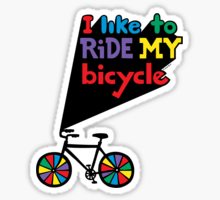 I am an avid cyclist (and about 80 pounds overweight) and would just say the following. I bought a road bike after much saving several years ago, and ended up hating it and selling it on Craigslist. Why? The forward-leaning position (to be frank) squished my gut together so that I couldn’t breathe. 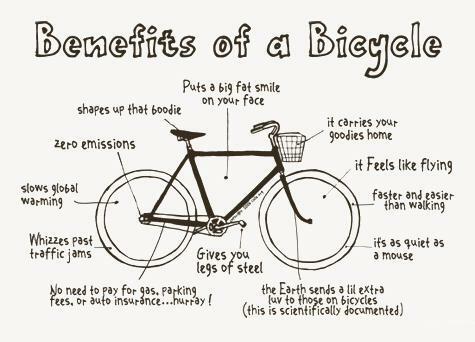 Just something for larger people to consider when buying a bike. Thanks for sharing Holli. I didn’t start cycling until I’d lost about 85 pounds so I can’t comment on how it would have been for me when I was bigger. I do notice a huge difference in comparison to last year when I was 10 pounds heavier–my back hurt a lot. Now that my core is stronger it takes much longer rides for my back to get sore. That gives me some hope! I do a three-day bike ride every fall (30-35 miles a day) and my back always hurts by the end. Maybe if I lose some weight that will be a little better! The weekend bike ride sounds like fun! That’s something that we want to do someday too. It’s a great idea to spend 1 minute out of the saddle (in the climbing position) for every 10 minutes you spend in the saddle. This will give your back the relief it needs. This helps me with my back. Great post! My boyfriend told me of a customer they had when he worked at bike shops. She was over 300 pounds and her MD told her she needed to start exercising; no excuses. So she started cycling.At first, they had to special order a road bike that would work for her because of her size. She lost the weight and now she is a triathlete! Anyone can do it if they really want to. That’s an inspiring story. I love hearing success stories!